In yet another sign that SeaWorld is falling out of favor with the public, a new report shows that there's been a marked decrease in attendance since "Blackfish" was released. According to the consulting firm Aecom, which reports estimates of theme park attendance globally, SeaWorld received 4.1 percent fewer guests in 2013 over the previous year -- despite the fact that attendance to other parks, like Disneyland and Universal Studios, actually jumped 5.4 percent worldwide. SeaWorld denies Aecom's numbers are correct, though other park operators attest to the consulting firm's accuracy. Weather has be posited as one possible reason that SeaWorld ticket sales were down, though that explanation seems dubious considering that nearby attractions saw spikes of as much as 9 percent over 2012. Others suspect that the marine park is in decline due to a growing sentiment that keeping killer whales captive is morally wrong. "The public is disgusted with SeaWorld's archaic captive-orca shows, and the park's plummeting ticket sales reflect that," says Ingrid Newkirk, president of PETA. But as bad of a year 2013 turned out to be for SeaWorld, 2014 is already shaping up to be significantly worse. A Quarter 1 earnings report released by the park last month showed a 13 percent drop in attendance this year compared to the year before. Profits were also revealed to be down 11 percent. In the wake of "Blackfish" and a string of other bad press regarding how the park treats orcas, an increasing number of corporate sponsors and travel companies have already severed ties with SeaWorld -- reflecting a shift in public perception. 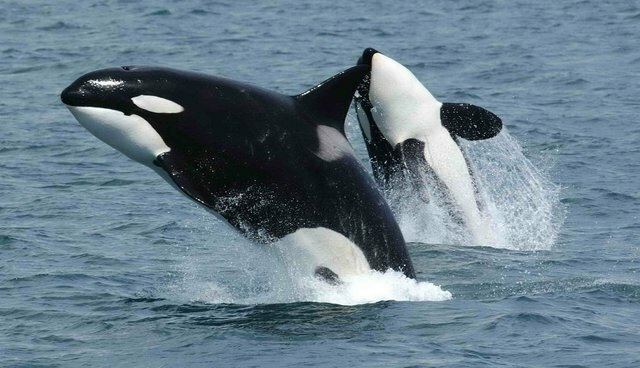 Today, half of Americans asked say they oppose keeping orcas in captivity, and that figure is likely to grow as more and more people become aware of the issue.